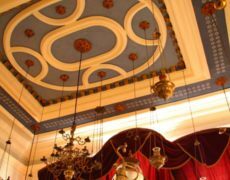 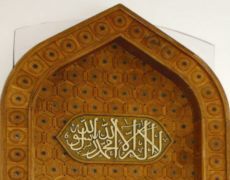 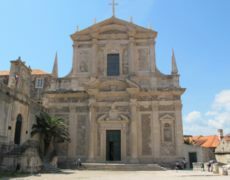 was constructed in 1715 in the flamboyant Venetian Baroque style. 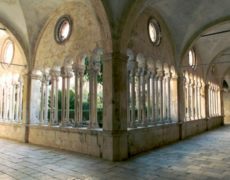 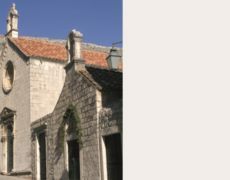 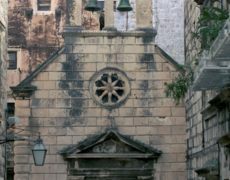 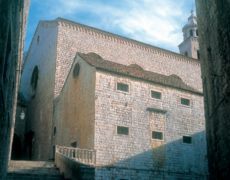 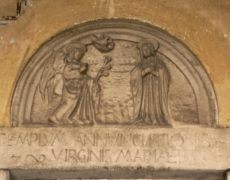 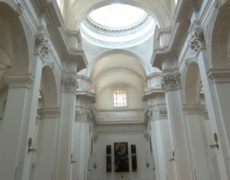 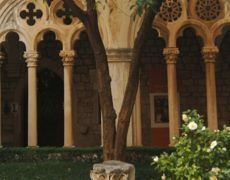 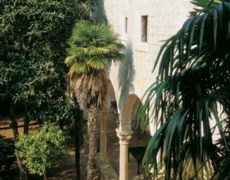 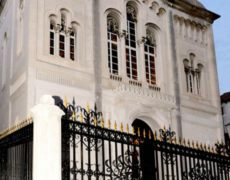 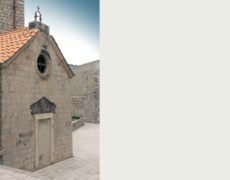 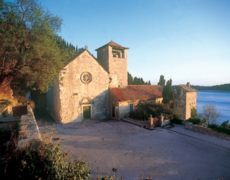 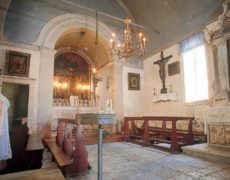 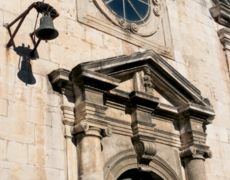 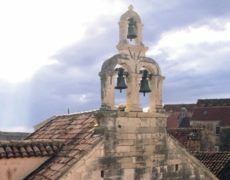 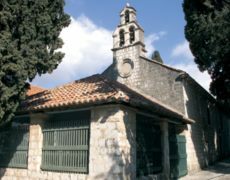 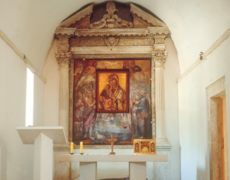 It was constructed by the Venetian master Marino Gropelli in 1706, on the commission of the Dubrovnik Senate which requested a new church on the site of the old 14th century Romanesque church. 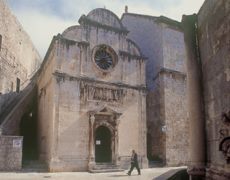 Damaged during the earthquake for the first time, the church was destroyed completely by the devastating fire in 1706. 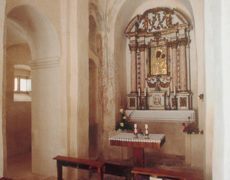 Everything disappeared in flames, apart from the silver statue of St Blaise, which was saved by some miracle. 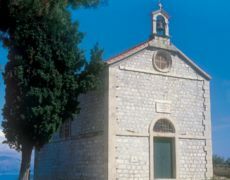 After the years spent in exile at the Church of St Nicholas at Prijeko, the statue was returned to its old place in 1715. 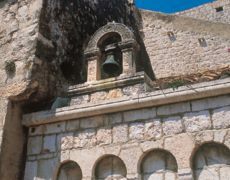 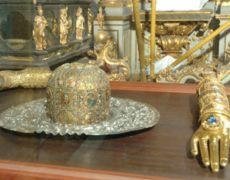 The people of Dubrovnik added the following inscription on the statue all other statues made of gold, silver and bronze melted in the fire, while the saints statue was miraculously undamaged. 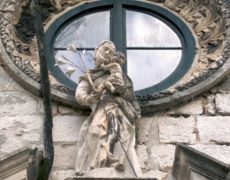 The statue is one of the most important statues in Dubrovnik, and the model of the city which the saint holds in his hand reveals the city architecture at the time. 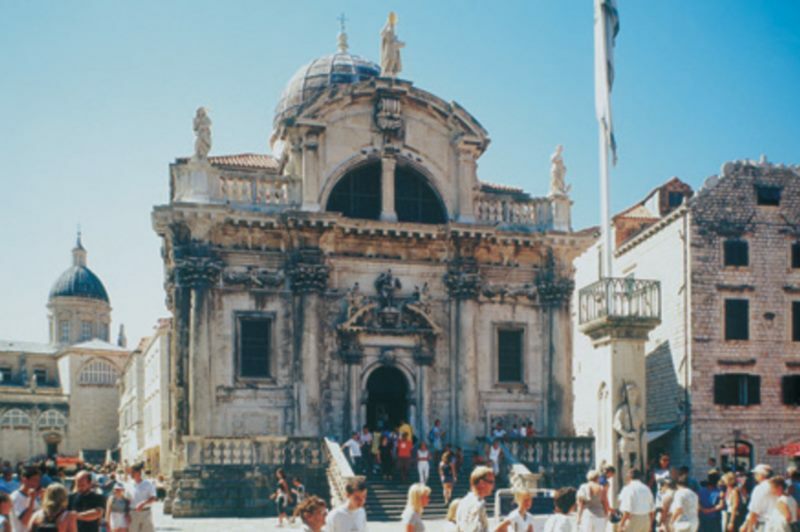 St Blaise has been honoured as the patron saint of Dubrovnik from the 10th century. 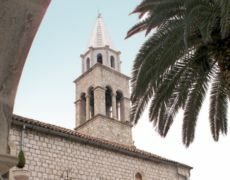 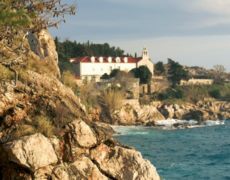 According to the chroniclers of Dubrovnik, St Blaise saved the people of Dubrovnik in the 10th century when the Venetians anchored their ships in Gruž and in front of the Island of Lokrum. 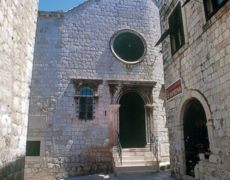 The people of Dubrovnik believed the Venetians assurances that they would leave for Levant after they supplied themselves with food and drink. 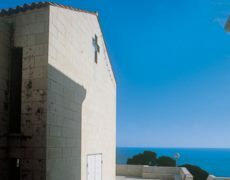 The visitors used the opportunity to see the sights and observed the weaknesses in the City defence. 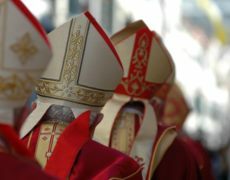 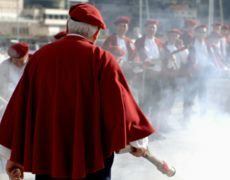 However, St Blaise revealed their intentions to the parish priest Stojko and thus saved the City from the night attack. 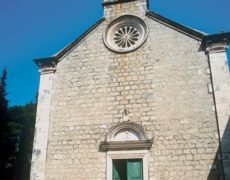 The priest described him as an old grey-haired man with a long beard, a bishops cap and a stick in his hand. 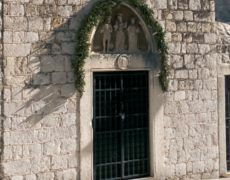 Precisely the way his statues on the city walls and towers look like. 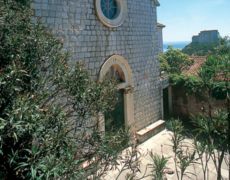  Celebrated on 3 February, St Blaises Day is also the City of Dubrovnik Day.